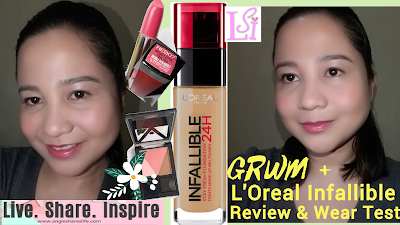 Get Ready with Me + L'Oreal Infallible Foundation Review & Wear Test ~ Live. Share. Inspire. Hey guys! Thanks for dropping by. 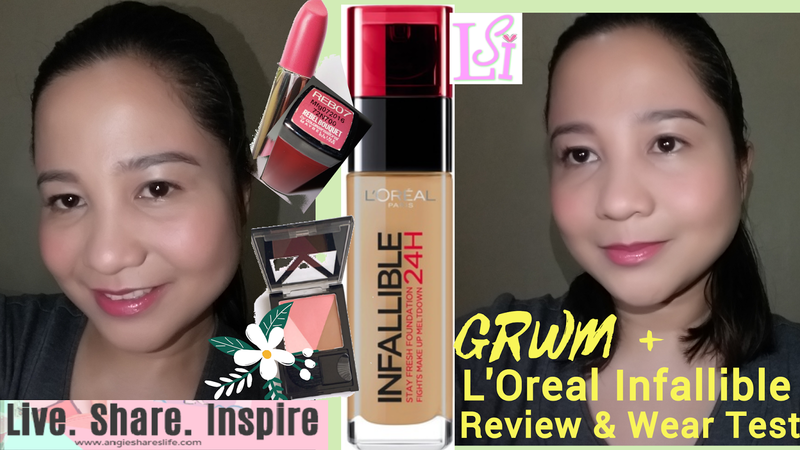 This is a review and wear test of L'Oreal Infallible foundation. I had a free day and grabbed the opportunity to do some errands. With the foundation on my face, I walked under the 12:00 noon heat of the sun, hailed a jeepney then walked again, climbed some stairs and walked again then rode tricycle home around 3:20 pm. I had so much fun doing this review and filming this wear test to share my thoughts to you. I hope you like it and subscribe. Drop your comments. I would appreciate suggestions and advice. I have used that L'Oreal Infallible foundation maybe lasts month, it's very effective in protecting you from being haggard. Even I walked under the sun oow, it lasts! Thanks for your reviews.